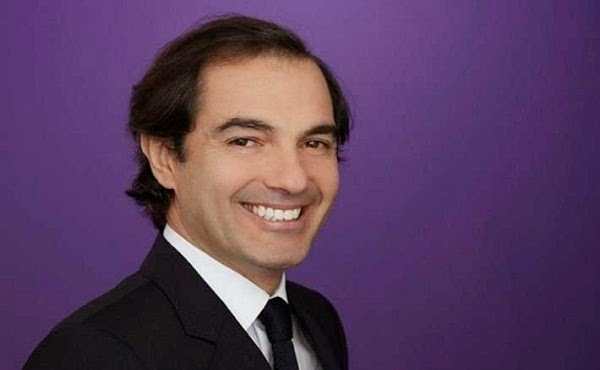 Henerique De Castro, Yahoo’s CEO was fired recently and has been given a $58 million severance package for leaving the company, albeit he only worked there for about 15 months. It was a regulatory filing made on Wednesday that disclosed this information and has given rise to more second-guessing as to why de Castro was employed by Yahoo’s chief executive officer Marissa Mayer in 2012 to play the role of her second-in-command. De Castro was dumped by Mayer in January after realizing that he wasn’t effective for her plan of reviving the lackluster ad growth of the company. The fired COO had been the head of ad sales. In January, Mayer told analysts that it was regrettable that Henrique had not been able to fit. She said that they had tried hard to avoid this situation, but in the end, the decision was better for the company. The CEO also said that she would not select another chief operating officer after making this expensive blunder. The severance pay De Castro is double the amount that was paid to Mayer by the company in the previous year. $24.9 million had been paid to Mayer as compensation, which had been a decline of 32% as compared to the year before. A stock award of $35 million was the reason why this decrease occurred. She had been given this award in July 2012 when Yahoo had persuaded Mayer to become the company’s CEO and leave her post as a top executive in Google Inc. Previously, the company had revealed that De Castro would be given a severance package, but they hadn’t mentioned the amount. According to the board of the company, most of the cost of the severance occurred because De Castro had to be lured from his previous job at Google. If De Castro had stayed at Google, like the other top executives of the search engine giant, he also would have received millions in terms of stock. Therefore, Yahoo had had to make up for the awards that De Castro had given up when he had defected. The compensation committee of the company defended the severance package by saying that when Mr. De Castro was hired, it had been believed that his experience and skills would enable the company in achieving growth in the long term. The Wednesday filing showed that the committee decided not to give De Castro a bonus in 2013 because they had a very dim view of his performance. He was eligible for a bonus of 90% of the salary that he had received last year, which amounted to $540,000 as his salary was about $600,000. However, it is also a fact that his severance package wouldn’t have amounted to $58 million if the company’s stock hadn’t doubled during the time he stayed with the company. Also, this increase in the stock price wasn’t because of the efforts of any Yahoo executives as the company’s share in China’s Alibaba Group had raised the price.